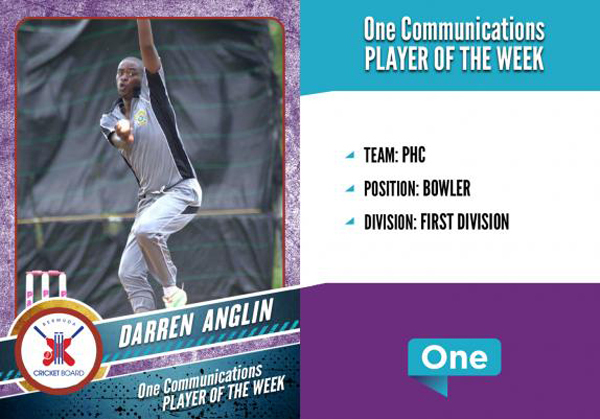 One Communications and the Bermuda Cricket Board [BCB] have announced that the Premier League Player of the Week is Christopher Douglas of St. David’s CC, while the First Division Player of the Week is Darren Anglin of PHC. 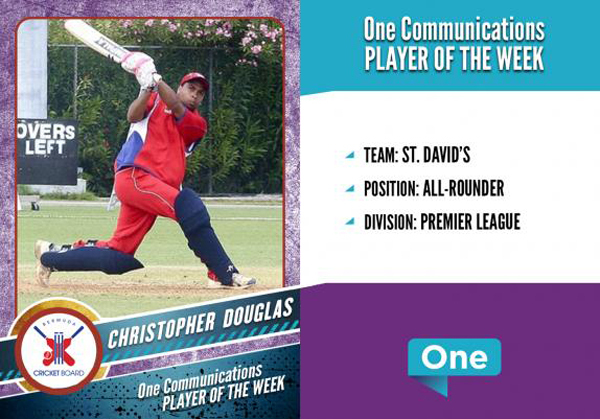 A spokesperson said, “One Communications and the BCB are pleased to announce that the One Communications Premier Division ‘Player of the Week’ is Christopher Douglas of St. David’s CC. Chris scored 85 runs, including 8 fours and 1 six, off 99 balls to build the foundation for a match winning total of 271 for his team. 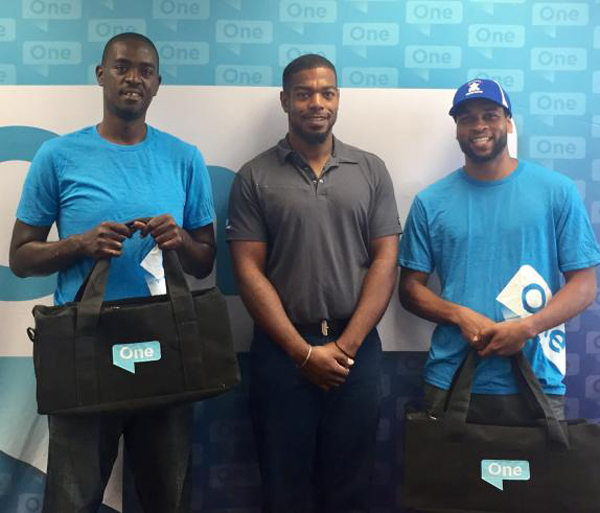 “The above One Communications Player of the Week Awards were presented by Olatunji Tucker of One Communcations.